Draft: 1997, Oakland Athletics, 6th rd. He and his wife, Kim, reside in Auburn, AL, and have two daughters, Kennedie and Tess, and one son, Kade...Founded the Hudson Family Foundation in June of 2009... the foundation, which seeks to make a positive and long lasting impact in the lives of children who have a genuine need for assistance with regard to a specific physical, emotional or financial circumstance, has raised over $400,000 for children and families in need throughout Georgia & Alabama...Graduated from Glenwood HS in Phenix City, AL, in 1993...Attended Auburn University and majored in health promotion...Named Southeastern Conference Player of the Year as a senior in 1997...named to the All-SEC team as an outfielder and a pitcher, as he hit .396 with 18 HRs and 95 RBI while posting a 15-2 record, a 2.97 ERA and 165 strikeouts...earned first team All-America honors from Baseball America as a utility player...tied for the NCAA lead in wins, ranked third in strikeouts and was ninth in RBI...Was the 2004 recipient of the Jim "Catfish" Hunter Award, given annually to the A's player who best exemplifies the courageous, competitive and inspirational spirit demonstrated by the A's late Hall of Fame pitcher...In February 2010, was inducted into the Auburn Baseball Wall of Fame, along with Bo Jackson, Frank Thomas and Gregg Olson. Veteran right-hander completed his 16th big league season, his first with the Giants, by going 9-13 with a 3.57 ERA in 31 starts...Went 7-2 with a 1.81 ERA and .223 opponents batting average against in his first 13 starts, with the Giants going 11-2 in those outings...however, then went 2-11 with a 5.13 ERA and .308 average against in his last 18 starts, with San Francisco going just 6-12...Suffered his first losing season (record-wise) of his career in 18 professional seasons and his 13 losses were the most of his career...His opponents' batting average against of .270 was the third-highest of his career (.273 in 2006 and .295 in 2009) and ranked as the ninth-highest among NL pitchers... allowed 9.46 hits per 9.0 innings, the sixth-highest mark in the NL...Allowed the fourth-fewest walks per 9.0 innings in the NL (1.62)...his 34 walks allowed were the fewest of his career in a full season...Averaged just 3.61 runs per game, the lowest total of his career, the lowest among Giants starters and the 12thlowest in the NL...Faced 373 right-handed batters and walked just 10 (one every 37.3 PA )...Induced 335 groundballs, the second-most in the NL behind Cincinnati's Mike Leake (349)...Allowed opponents to steal 15 of 18 bases off him (83.3%), tied with San Diego's Eric Stults for the thirdhighest stolen base pct. among NL pitchers (Roberto Hernandez, 88.5%, Mike Leake, 85.7%)...Set the Giants franchise record (since 1900) for most innings to start a season without a walk at 30.0 innings... had faced 115 batters before the Indians' Carlos Santana drew a two-out walk in the 1st inning on April 25...Placed his name alongside Hall of Famer Grover Cleveland Alexander and the Yankees' Tiny Bonham as the only pitchers in the last 101 years to start a season with at least four walk-less starts of 7.0 innings or more...Fashioned a 1.81 ERA through his first 13 starts of the season...that was the lowest ERA for a Giants pitcher in his first 13 starts with the team and with those 13 starts all coming in his first season with the team since 1912...Was named to his fourth career All-Star team as a replacement for LHP Madison Bumgarner, who wasn't eligible to pitch because he threw the Sunday before the break...marked his first All-Star nod since 2010 with the Braves (was also an All-Star in 2000 and 2004 with Oakland)...Had the highest ERA (8.72) in the month of September among any pitcher with at least 20.0 innings pitched... overall, went 0-4 with an 8.72 ERA (21er, 21.2ip) in five Sept. starts...Went just 2-for-53 (.038) at the plate, the lowest batting average of his career while in a National League uniform... his two hits were his fewest in a season (min. 10 ABs)... had hit .100 or higher in each of his previous seven seasons... was hitless in his last 40 at-bats, the second-most consecutive hitless at-bats in the NL behind the Pirates' Edinson Volquez (42)...Underwent ankle surgery Jan. 2 to remove bone spurs from his right ankle…recovery time is eight weeks. The surgery was performed by Dr. Bob Anderson in Charlotte, North Carolina...Hudson started experiencing increased discomfort as he was ramping up his offseason workouts. Went 8-7 with a 3.97 ERA (58er, 131.1ip) in a 21 start stretch for the Braves. Missed the last two-plus months of the season after the Mets' Eric Young Jr., who was trying to beat a throw to first base, accidentally stepped on Hudson's leg above the ankle, resulting in a fracture that ended his season. Underwent surgery July 26 to repair a fractured fubula and torn deltoid ligament. The procedure was performed by Dr. Marvin Royster in Atlanta, GA. Prior to the injury, he had gone 4-3 with a 2.73 ERA and a 50-to-19 strikeout/walk ratio over a span of his final 10 starts from June 1 through July 24. Snapped a 10-game winless streak-the longest of his career- on July 6 at Philadelphia. Was named NL Player of the Week for April 29-May 5…went 2-0 and notched his 200th, 201st career wins. On April 30th, earned his 200th career win to become the 110th pitcher in MLB history to reach 200 wins. Allowed only 12 home runs in 179.0 IP and ranked fourth in the majors (second in NL) in fewest homers allowed per 9 IP, at 0.60. Overall, the Braves won 20 of his 28 starts. Allowed a home run in his second start of the season (5/4 at COL), and did not allow his second until 6/13 vs. NYY. He had six homer less outings in between his two round-trippers allowed. Snapped his season-best seven-game winning streak with a 5-1 loss on 9/1 vs. PHI. Before that, his last loss was 7/1 vs. WSH, a span of 10 starts. In 16 starts after 7/6 (at PHI), went 10-3 with a 3.42 ERA (38 ER/100.0 IP), as the Braves went 12-4 in	that stretch. Went 7-4 with a 3.56 ERA in 13 starts prior to the All-Star break. Struggled a bit in the first inning, allowing 22 runs (21 ER) in 28 IP for an ERA of 6.75. Opponents hit .316 (37-for-117) against him in the first frame. In his seventh season with Atlanta, led the Braves pitching staff for the second consecutive season with16 wins (2010, 17) and 215.0 IP (2010, 228.2). Hudson ranked second on the staff with 158 strikeouts andsecond among starting pitchers (minimum 20 GS) with a 3.22 ERA...Over his final 21 starts, since 6/10, went 12-5 with three no-decisions. During that stretch, Hudson pitched ata 2.72 ERA and .235 opponents' batting average, while registering a "quality start" in 16 of the 21 contests...Held opponents to a .236 batting average, the 10th-lowest mark in the National League...His second-half ERA stood at 2.38, the 11th-best mark among National League starting pitchers...Ranked fifth among National League starting pitchers with a 2.14 daytime ERA and was fourth in the NLin home ERA (2.31)...Led the Braves staff and ranked seventh in the National League with 23 "quality starts"...Pitched at least 7.0 innings in 10 of his last 16 starts, dating to 7/7...On 9/17 vs. NYM, recorded his 12th career 10+ strikeout game, fanning 10 in the 1-0 triumph...Over a 12-game span, 7/2-9/1, went 8-2 with a 2.49 ERA while holding opponents to a .227 batting average. During the stretch, 11 of his 12 starts were "quality starts" and nine of his outings were at least 7.0 innings...Poked his second career home run, a two-run shot to left field, on 6/20 vs. TOR off Ricky Romero...Had his best game of the season, and one of the best of his career,on 6/20 vs. TOR. Pitched 8.0 scoreless innings and hit a two-runhomer in the Braves' 2-0 win over the Blue Jays. According to theElias Sports Bureau, in the last 40 seasons, only four other individualspitched in a game and hit a home run that accounted for all ofthat game's runs: Bob Welch (1983 Dodgers), Odalis Perez (2002Dodgers), Brad Hennessey (2005 Giants) and Yovani Gallardo (2009Brewers). Tim's homer was the second of his career (2009 at STL)...On 5/4 vs. MIL (Game 2), tossed his 24th career complete gameand 12th career shutout. The Braves defeated the Brewers 8-0, asHudson allowed only one hit, walked just one and faced two battersover the minimum. The outing was his third career one-hit shutoutand his first complete-game win since 5/2/08 vs. CIN. He threw firstpitch strikes to 27 of 29 batters faced...Missed his scheduled start on 5/25 at PIT with lower back tightness(LHP Mike Minor started in his place). Returned to the rotation on5/30 vs. SD. Completed his first full season since 2007 leading the Club with 17 wins, 228.2 innings pitched and 25"quality starts." He finished second on the staff in strikeouts (139)...Named the 2010 National League Comeback Player of the Year. He underwent "Tommy John" surgery on8/8/08 and made just seven starts in 2009...Was the recipient of the 2010 Hutch Award for his outstanding community service...Finished first in the majors with a 75.2 ground ball percentage...Ranked ninth in the majors with a 2.83 ERA and tied for fourth in "quality starts." His 17 wins tied for fourthin the NL, he was seventh in home ERA (2.48), and ninth in opponents' batting average (.229)...Went 7-0 with a 2.17 ERA in nine daytime starts, compared to 10-9 with a 3.25 ERA in 16 starts at night...20 of his 34 starts were 7.0 IP or more and he made five starts of 8.0 IP...Started Game 3 of the Division Series at Turner Field. Held SF to one run (zero earned) on four hits through7.0 IP. Hudson exited the game down 1-0 and did not receive a decision in the Braves 3-2 defeat to the Giants...His 17 wins were the most he recorded since winning 18 in 2001...Posted an 11-5 record with a 2.48 ERA in 18 home starts and went 6-4 with a 3.25 ERA away from Turner Field...Was named the National League Pitcher of the Month for August. Over six starts, he went 4-0 with a 1.71ERA. The Braves won five of his six starts, as he posted 35 strikeouts over 42.0 innings pitched...Eclipsed the 1,500 career strikeout mark in his outing on 8/28 vs. FLA by striking out the first two batters(Cameron Maybin and Logan Morrison) of the game...From 7/22-8/13, won each of his five starts (0.49 ERA) while posting at least 6.0 IP and allowing no morethan one run in any of his games. According to the Elias Sports Bureau, Hudson became only the secondpitcher in Braves history to have five straight starts of that nature. Al Javery last turned the trick back in 1942...Posted two separate five-game winning streaks. The first was from 5/1-6/1, when he pitched at a 1.77 ERAwhile holding opponents to a .201 clip during the seven-start span. The second dated from 7/22 to 8/28...Went 4-0 in six May starts. His 1.59 ERA in May ranked tied fifth in the majors and tied fourth in the NL.He ranked tied fourth in the NL in wins and his .199 opponents' batting average was seventh in the NL...Was named to his third career All-Star team and first as a National Leaguer, but did not appear in the game. On 11/12/09, agreed to terms on a three-year contract extension through 2012, with a Club option for 2013...On 9/1 at FLA, started and won for the first time since 7/23/08 (and since having "Tommy John" surgery on 8/8/08). He allowed six hits, three in the first inning, in the 4-3 win...Four of his seven starts were "quality starts"...Hit his first career home run on 9/12 at STL off Kyle Lohse. Earned a no decision in the Braves' 7-6 win. He allowed a season-high 10 hits and four runs in 5.0 innings...Suffered his only loss in a 9-4 defeat vs. PHI on 9/18. Hudson posted a "quality start," however was beat by the long ball as R. Howard hit two home runs. The two HRs allowed by Hudson were the most he's allowed since giving up two 6/28/08 at TOR...Posted his second win with a Braves' 5-2 victory over the New York Mets on 9/23...Struck out a season-high seven batters in his final start of the season on 10/4 vs. WSH (no decision)...Won both of his decisions on the the road...Made six rehabilitation starts, four with Triple-A Gwinnett and two with High-A Myrtle Beach, from 7/19 to 8/23. Went 1-0 with a 3.38 ERA (18.2 IP/7 ER) in four starts with the Gwinnett Braves from 7/27 to 8/23. In two starts (7/19 and 7/23) for Myrtle Beach, was 0-1 with a 5.79 ERA. Posted his lowest ERA (3.17) since 2003, but his season was cut short due to injury. He still won 11games, his 10th consecutive season of at least 10 wins (dating back to 1999)....He went on the disabled list 7/27 to the end of the season and had successful "Tommy John" surgeryperformed on his right elbow by Dr. James Andrews in Pensacola, FL, on 8/8....His nine first-half victories tied for the second-most (10 in 2000) he's recorded pre-All-Star break in hiscareer and his 21 GS are the most he's made in the first half....Went 8-1 with a 2.57 ERA in 10 home starts and 3-6 with a 3.75 ERA in 13 road starts....His best two months were May (4-1, 2.25 ERA) and July (3-1, 2.60 ERA)....Beat the Nationals on 7/18 despite allowing five runs in 6.2 IP in a 8-6 Atlanta win....Made his first career relief appearance 7/13 at SD (1.0 IP) after making 300 career starts....Suffered his seventh loss of the season 7/9 at LAD (7.0 IP/2 ER) as Atlanta's offense was held to one runon two hits....Won his ninth game of the season in his 300th career start on 7/4 vs. HOU. He allowed one run on fourhits in 7.0 IP....Allowed six runs for the second time in three starts on 6/28 at TOR in a 9-5 loss. Tim allowed his first twohome runs to right-handed batters and it was the first time he allowed two homers by righties since8/28/05 at MIL. According to Elias, for his career he has allowed a home run to a right-handedbatter once every 65.2 plate appearances, the lowest rate among active pitchers (minimum 2500 righthandedbatters faced)....Threw seven scoreless innings en route to earning his eighth win of the season in the Braves' 8-3 victoryover Seattle on 6/22. It was Tim's first scoreless outing since his CG on 5/2 vs. CIN and it was the first timehe had not allowed an earned run in a contest since 5/12 (at PIT; G2)....Allowed just one run in 6.2 IP on 6/12 at CHI and left with a 2-1 lead, but the bullpen failed to hold, givinghim his third ND in four starts....Got a ND on 6/6 vs. PHI despite allowing just one run on five hits through 7.2 IP. He left with a 2-1 leadbefore PHI won 4-3 in 10 innings, as 2B Kelly Johnson dropped what would have been the last out....Suffered a 6-2 loss at CIN on 6/1 when he gave up two HR in a game for the third time in four starts. Hewas removed from the game after facing one batter due to a strained left hamstring....Pitched a solid game at MIL on 5/27, but earned the ND in the 3-2 loss. Tim went 8.0 innings and left withthe game tied 2-2....Recorded back-to-back multi-home run games for just the third time in his career on 5/17 & 5/22. Tim gaveup two HRs in back-to-back games in Aug./Sept. 2005 and in Aug./Sept. 2006....Got back on the winning track on 5/22 when he faced NYM and Johan Santana. Held NY to two runs (2solo HR) on seven hits over 8.0 innings in the Braves' 4-2 win to complete a four-game sweep against the Mets. Despite giving up back-to-back homers (C. Beltran and C. Delgado) in the second inning, Tim facedonly five batters over the minimum, which included a string of 11 straight retired from the 2nd-6th innings....Tim fired his first complete game and shutout of the season on 5/2 vs. CIN, allowing just three hits andwalking none. He recorded 10 strikeouts in the first six innings, his 10th career 10+ strikeout game. It washis 22nd CG and 11th career shutout, both last coming 9/16/07 at WSH. In the process, he became thefirst Brave since John Smoltz on 9/6/98 vs. NYM to have 10+ strikeouts in a CG without issuing a walk....Got a ND after allowing two runs on three hits and an errant pickoff throw in the first inning of the seasonopener at WSH on Opening Night (3/30), but did not allow another baserunner over the next six innings inthe 3-2 loss. It was his fifth Opening Day start (1-0, 2.79 ERA). Went 16-10 with a 3.33 ERA, his best marks since going 16-7 with a 2.70 ERA for Oakland in 2003. Atlanta won 13 of Tim's last 18 games and went 22-12 in his starts. Led the team with 34 starts. Notched 224.1 innings, marking the sixth time in the last eight seasons he has reached 200 IP. Allowed only 10 home runs this season and his ratio of 0.40 HRs allowed per 9 IP was 2nd in the majorsto LAD's B. Penny (0.39). The bullpen blew three games in which Tim was in line for the win. Pitched 16 times following an Atlanta loss and the Braves went 13-3. Tim's record in those games was10-2 with a 2.43 ERA (29 ER/107.1 IP). Went 8-6, 3.58 in 17 home starts and 8-4, 3.09 in 17 road games. Was 8-5 with a 3.08 ERA after the A.S. break. Went 8-5, 3.54 before the break. Tied for 5th in NL in wins (16), ranked third in IP (224.1) and seventh in ERA (3.33). Had the most total chances fielding without making an error than any pitcher in baseball (70 TC). Ranked fourth in the NL with 25 quality starts and has gone 7+ innings in 21 of his 34 outings this season. Got out to a fast start with a 3-0 mark in April with a 1.40 ERA in six starts. Also went 3-0 in July with a2.76 ERA in five starts. Against NL East rivals, Tim was 8-5 with a 2.83 ERA in 17 starts, including a 4-0 mark with a 0.60 ERA infour starts vs. WSH. Did well with extra rest, going 6-1 with a 1.59 ERA in seven starts on five-days rest and 1-0 with a 0.64ERA in two starts with six-or-more-days rest, while going 9-9 with a 4.12 ERA in 25 games on regular rest. Carried a shutout into the eighth inning vs. MIL on 9/21, but allowed three runs in the eighth (all withtwo outs) and lost 4-1. Posted his 21st career CG and 10th career shutout with a 3-0 win at WSH on 9/16. The Nats' leadoffbatter reached base in six of the nine innings (4 H, 1 BB, 1 error), but only one runner reached thirdbase. Lost a 7-1 decision to NYM on 8/31, going 6.0 innings and allowing four runs (all with two outs) on six hits.Allowed two homers for the first time in 32 starts (since 9/13/06 vs. PHI). Had a nine-game winning streak (the longest in the NL this season) snapped at STL on 8/25. Held a 3-0lead in the fifth inning, but the Cards plated five runs on six hits. It marked just his second career loss (firstsince 2000) when holding a lead of three or more runs. Won 14-4 at CIN on 8/20, but had his five-game hitting streak (6-for-12, 4 RBI) snapped. His hitting streaktied for the third-longest for a Braves' pitcher since 1957, and trailed only Tony Cloninger's eight-gamestreak in 1965 and Ron Reed's six-gamer in 1972. Earned his fourth straight win 8/15 vs. SF in a 6-3 win. Barry Bonds' HR in the sixth inning snapped a66-inning homerless stretch for Tim, dating back to Boston's David Ortiz in the fourth inning on 6/19 atAtlanta. Went 13-12 with a career-high 4.86 ERA...The Braves went 21-14 in Tim's 35 starts. He tied with John Smoltz for the team lead in starts...Notched 218.1 innings, marking the fifth time in the last seven seasons he has reached 200 IP...Took a ND on 9/17 vs. FLA despite allowing just one run on three hits in seven innings without walking abatter. It was his third start on three days' rest (2-0, 2.61 ERA, 20.2 IP, 6 ER)...Won his fourth straight decision on 9/8 vs. CHI, allowing only one earned run (four total) in 6.0 IP whilefanning seven...Earned his 11th win on 8/29 in the Braves' 13-8 victory over SF. In 6.1 IP, Tim allowed four runs on sevenhits, including home runs to Barry Bonds (2) and Shea Hillenbrand...Picked up his 10th win on 8/18 at FLA, allowing his only run in the first of his 7.2 innings pitched in a 6-1Braves' win...Had no decision in the Braves' 7-4 win over MIL on 8/13, allowing three runs on nine hits in 6.2 IP. Tim leftthe game with a 4-2 lead in the 7th, but the bullpen blew the save...Pitched seven scoreless innings on 8/8 in the Braves' 3-1 win over Philadelphia, allowing six hits whilestriking out eight...Took the loss on 7/29 vs. NYM when he allowed a career-high tying nine runs (fifth time, last: 5/30/03 atKC) in 5.2 IP. The game was tied 3-3 until the sixth when Tim allowed six runs in a seven-run inning...Earned the win 7/18 at STL on three days' rest in a 14-5 victory. Tim was perfect through 3.2 IP beforeallowing a solo homer in the fifth and a four-run sixth inning...In his last start prior to the break on 7/6 vs. CIN, he went 8.0+ IP and allowed four runs. Left with a 3-1lead before the bullpen cost him the win...Lost four consecutive starts from 6/16-7/1, allowing 19 ER in 21.2 IP (7.89 ERA) with 14 walks, matchinghis longest career losing streak. His previous streak was May 4-19, 2002...In that 2002 streak he had an8.06 ERA (23 ER/ 25.2 IP) and 13 walks...Suffered his fourth straight loss and was knocked out in the third inning on 7/1 vs. BAL. Tim allowed sixruns (five earned) in 11 hits. It matched his shortest outing as a Brave (6/13/05 at TEX) and marked justthe sixth time in his career that he failed to make it out of third inning...Earned his sixth win when he allowed just one hit through the first seven innings and only gave up a tworunhome run in the eighth in a 4-2 win on 6/10 at HOU. Tim allowed just three hits in 8 IP...Was a victim of poor defense in a 5-4 loss on 6/5 vs. WSH. Tim carried a 2-0 shutout into the sixth inning,but was able to get just two outs before his exit. The Nationals scored five runs in the inning, two earned...In six May starts, Tim went 4-1 with a 2.79 ERA and held opposing hitters to a .227 batting average. His48.1 IP for May led the NL...Posted his fourth win in a 2-1 victory at ARI on 5/21. Tossed 8.0 shutout innings and threw a season-high122 pitches while fanning five batters and allowing six hits and three walks...Had ND in a 4-3 extra-inning win over FLA's Dontrelle Willis on 5/16...The Braves trailed 2-1 when he left,but a ninth-inning homer by Jeff Francoeur sent the game to extra frames...Tim fanned a season-best 10...Tossed his ninth career shutout - his first as a Brave - and his second career one-hitter in a 2-0 win overCOL on 5/1...Allowed the game's only hit on a third-inning single by Rockies pitcher Jason Jennings...Threw his first CG of the season and 19th of his career on 4/19 at NYM, outdueling Tom Glavine, 2-1. Tim allowed just three hits and a ninth-inning run...Was hit for eight runs (six earned) in 4.0 IP on 4/8 at SF in a 12-6 Giants' win. It was his most runs allowedsince 5/2/04 at TB...Made his fourth career Opening Day start on 4/3 at LA, pitching 4.0 innings in which he allowed five runson six hits. The Braves held a 4-0 lead in the first and were up 8-1 in the fifth, but Tim allowed four straight hits in the bottom of the fifth and made his exit. Had a successful first season with the Braves, despite missing 28 team games with a strained left obliquemuscle. Went 14-9 with a 3.52 ERA and managed to work 192 innings in his 29 starts.... Came to Atlanta via trade from Oakland on 12/16/04. On 3/1/05, Tim signed a four-year contract extensionthrough 2009 with a club option for 2010.... Went 6-2 with a 2.98 ERA in eight day games and 8-7 with a 3.74 mark in 21 night games.... The Braves were 16-12 in his starts (one blown save), with five of the 12 team losses by one run.... Three of Tim's nine losses were by one run and two were by two runs.... Earned a 4-2 win in his Braves debut at FLA on 4/7, going 5.0 innings and allowing just one run on six hits.Collected his first hit of the season with an RBI-single off A.J. Burnett in the fourth inning.... Matched up with Roger Clemens in a masterpiece at HOU on 4/18, as the Braves won 1-0 in 12 innings(Ryan Langerhans HR). Tim pitched 9.0 scoreless innings, allowing just four hits and one walk whilefanning nine. He allowed only two batters to reach second base.... Suffered his first loss 4/29 vs. STL, allowing four runs in the first inning and two more in the fifth (AlbertPujols homer) en route to a 6-5 defeat. It marked just the third time in his career that he lost a game withfour or more runs of support.... Made his first career regular-season appearance on three days' rest on 5/24 and posted a 4-0 win overNYM. Tim tossed 8.0 shutout innings and allowed six hits and two walks while fanning three batters.... Suffered his fifth loss at TEX on 6/13, as he struggled through 2.2 innings with a strained left obliquemuscle. Allowed five runs on five hits, including two homers, and walked a season-high five batters.... Was placed on the disabled list on 6/16, retroactive to 6/14, with a strained left oblique muscle.... Was activated from the DL on 7/16 and made his first start since 6/13. Pitched 6.0 shutout innings,allowing just five hits and no walks in the 3-0 win. Tim threw only 62 pitches and also collected hissecond career double - his first extra-base hit since 6/14/02 at SF.... Recorded his 100th career win with an 8-1 decision at St. Louis on 8/6, allowing just one first-inning run in7.0 innings of work. His 100th win came in his 202nd career start. According to the Elias Sports Bureau,Tim became just the sixth pitcher since 1970 to notch his 100th win in 202 or fewer games. The last wasAndy Pettitte, in his 196th game on 9/24/2000. The others to do it since 1970: Tom Seaver (186th game)on 5/11/72, Dwight Gooden (173rd) on 6/19/89, Roger Clemens (182nd) on 5/9/90 and MikeMussina (178th) on 6/30/97.... Pitched six solid innings vs. SF on 8/11 before allowing three runs in the seventh and suffering a 5-3 loss.Had 10 strikeouts for his seventh career double-digit strikeout game (first since 2001).... Pitched eight innings for the first time since 5/24 (10 starts), allowing just two runs in a 10-2 win over LAon 8/17.... Threw his first complete game of the year on 8/22 at CHI, allowing two runs on seven hits while tying hisseason high with 119 pitches.... Allowed two solo home runs in a CG 5-2 victory at MIL on 8/28. Tim fanned four batters and walked nonein his 9.0 innings. His 8/22 and 8/28 outings marked the first back-to-back CG (and back-to-back 9-inninggames) in his career.... Allowed a season-high 12 hits in just 6.1 IP on 9/2 vs. CIN, but came away with his 12th win in a 7-4 decision.Tim collected his first career triple off Eric Milton and had a career-high two RBI.... Had 8.0 strong IP (8 H/2 R) vs. NYM on 9/7, but did not earn the decision, as the Braves postedcomebacks in the ninth and 10th innings for a 4-3 win. Had his 21.1-inning walkless streak snapped witha leadoff walk in the second inning. Tim's strikeout of Tom Glavine in the sixth inning was the 1,000th ofhis career.... Allowed a career-high three home runs (sixth time - first since 2002), but earned his 13th win at NYM on9/17, going 6.0 innings and allowing four runs on six hits in the 7-4 victory.... Tossed eight shutout innings vs. PHI on 9/22 before allowing four runs in the ninth, including a threerunhomer by pinch-hitter Shane Victorino, and lost his ninth game.... Logged his 14th win vs. COL on 9/27 - the night Atlanta clinched its 14th straight division title. Was 12-6 with a 3.53 ERA in just 27 starts as he spent over a month of the season on the disabled list witha strained left oblique muscle...Was named to his second American League All-Star team but did not pitch, as he was on the DL...His ERA was the second highest of his career (4.14 in 2000) but it was fifth lowest in the A.L. in 2004...His wins and starts were second fewest to his 11 wins in 21 starts during his rookie campaign of 1999...Had career lows in walks (44) and strikeouts (103) and allowed a career-high .267 opp. batting average...The A's were 15-12 in his starting assignments...Continued a recent trend of ending up with a no-decision after leaving with a lead. Tim had nine no-decisions in 2004 and left with the lead in six of those outings only to have the bullpen blow the save all sixtimes. He left with the score tied in his other three no decisions...Had run support of 4.63 -- the lowest figure of his career and 10th lowest in the A.L. in 2004...In addition to ranking fifth in the A.L. in ERA, he also tied for the lead in shutouts (2), tied for fourth inwinning percentage (.667) and tied for fifth in complete games (3)...Tied with teammate Rich Harden for the second lowest opponents slugging percentage (.366) in the A.L.,tied for the third fewest pitches per inning (14.6) and had the sixth fewest walks per nine innings (2.10)...Allowed just eight home runs in 188.2 innings, an average of 0.38 per nine innings which was the lowest inthe majors in '04 and the third lowest ever by an Oakland pitcher. His eight home runs were the fewest everby an Oakland pitcher with a minimum of 162.0 innings pitched...Tied for sixth in the A.L. with a career-high 12 hit batters and has hit 47 batters in his career which brokethe Oakland record of 45 set by Mike Norris...Was 7-3 with a 2.98 ERA (36 er in 108.2 ip) over his first 15 starts of the year when he was placed on the15-day disabled list retroactive to 6/23 with a left oblique strain...Was reinstated from the D.L. on 8/7 and went 5-3 with a 4.28 ERA (38 er in 80.0 ip) in 12 starts followinghis return...Was 7-0 with a 1.99 ERA (17 er in 77.0 ip) in 10 starts when pitching on five days rest and 5-5 with a 4.54ERA (51 er in 101.0 ip) in 15 starts when pitching on four days rest...Was 4-2 with a 2.72 ERA in 11 starts during the day and had the third best day ERA in the AL...Went 6-2 with a 3.19 ERA (32 er in 90.1 ip) in 13 starts at home and 6-4 with a 3.84 ERA (42 er in 98.1 ip)in 14 starts on the road. Ranked seventh in the A.L. in home ERA and 10th in road ERA...Posted an ERA under 3.00 in three different months, including 2.72 in April, 2.22 in June and 2.38 inAugust. However, was 2-2 with a 6.23 ERA in September -- his highest one-month ERA since May 2002when he had a 7.30 ERA. Allowed five home runs in September after allowing three home runs over hisfirst 20 starts (142.2 ip)...Was 1-0 with a 1.88 ERA (3 er in 14.1 ip) in two interleague starts...Had a 12-game winning streak during day games snapped on 5/2 at TB...Pitched seven or more innings in 20 of his 27 starts and tossed eight-plus innings 10 times in 2004...Allowed two runs or fewer 14 times and walked two batters or fewer 20 times...Made his third career opening day start on 4/5 against Texas...Tossed just 86 pitches in a complete game four-hitter in the A's 2-1 win on 4/10 against SEA. Followed thatstart by tossing 7.1 scoreless innings on 4/16 at ANA and had a career-high 21.1 inning scoreless streakfrom 4/10 to 4/21. His previous high was 20.0 innings, 7/17-27/03. Tossed at least seven innings in eightconsecutive starts from 4/10 to 5/20, matching the longest such streak of his career (4/16-5/25/03)...Induced SEA to ground into five double plays on 4/21, the most by an A's pitcher since the statistic becameavailable in 1974. Also hit three batters in that game, tying the Oakland single game record. Hit threebatters again on 6/11 against PIT...Had his only losing streak of the season when he lost his final start before going on the disabled list on 6/22at ANA and his first start following his return on 8/7 at MIN. The two-game losing streak equaled thesecond longest of his career...Made one rehab start at Triple-A Sacramento on 7/31 against Oklahoma and had a no decision (3.0 IP,2 H, 2 R, 2 BB, 3 SO, 2 WP)...Had a season-best four-game winning streak from 8/17 to 9/3...Had a 13-start, 96.1-inning and 402-batter homerless streak snapped on 9/3 at TOR when Carlos Delgadohomered to lead off the second inning. It was his first home run allowed since 5/8 vs. MIN (Jacque Jones)...Had a seven-game home winning streak snapped 9/8 vs. BOS, his first home loss since 9/19/03 vs. SEA. Compiled a career best 2.70 ERA and tossed a career high 240.0 innings but was just 16-7 in 34 starting assignments...had a 2.64 ERA (23 er in 78.1 ip) in 11 no decisions and the A's went 10-1 those games...six of the no decisions came in extra inning games...left with the lead in four of his no decisions only to have Foulke blow the save all four times...left with the score tied in four of his other no decisions...over the last two seasons, he has a 2.71 ERA (43 er in 143.0 ip) in 21 no decisions and has left with the lead in 12 of those no decisions only to have the bullpen blown the save all 12 times...the A's are 17-4 in his no decisions over the last two years...the A's were 26-8 in his starting assignments this year, are 48-20 over the last two years and are 108-48 (.692) in his career...had run support of 3.25 (43 r in 118.2 ip) in his seven losses and 11 no decisions this year and 8.01 (108 r in 121.1 ip) in his 16 wins...is 66-2 in his 85 career starts in which he receives run support of four or more runs...tied for the American League lead in shutouts (2), ranked second in ERA, third in innings, tied for fifth in games started, tied for seventh in complete games (3), tied for eighth in wins, ninth in winning percentage (.696) and 10th in strikeouts (162)...led the A's in wins, ERA, innings and strikeouts and tied for the lead in shutouts...it was the fourth consecutive season he led the club in innings pitched and the third time in five years that he has led in ERA and strikeouts...has recorded at least 10 wins in each of his five major league seasons, joining Catfish Hunter (1968-74), Dave Stewart (1987-92), Vida Blue (1973-77) and Bob Welch (1988-92) as the only Oakland pitchers with at least five straight seasons of 10 or more wins...has a career record of 80-33 and his .708 winning percentage is third best in major league history among pitchers with at least 50 wins...his 80 career wins are fifth most in Oakland history...also ranks fourth on the Oakland career charts in strikeouts (796) and ninth in games started (156)...has 69 wins over the last four years which is second in the majors to Randy Johnson (70)...has tossed 915.2 innings over that span which is second most in the majors to Livan Hernandez (916.0)...allowed a career low .308 opponents slugging percentage which was the lowest in the A.L. and second lowest in the majors (Webb ARI, .307)...yielded just 15 home runs for an average of 0.56 per nine innings which was second lowest in the A.L. (Martinez BOS, 7 hr in 186.2 ip, 0.56 per nine innings)...ranked third in the A.L. in opponent batting average (.223) and fourth in opponents on-base percentage (.280) and both of those figures were also career lows...allowed a .252 (128 for 508) opponents batting average over his first 60 pitches in a game and .184 (69 for 375) after that...opponents hit into 23 double plays which tied for seventh most in the AL...his 240.0 innings and 2.70 ERA were the best figures by an A's pitcher since Dave Stewart had a 2.56 ERA and 267.0 innings in 1990...on defense he led major league pitchers with 76 total chances...was 9-3 with a 2.32 ERA (38 er in 147.1 ip) in 20 starts at home...ranked third in the A.L. in home ERA and ninth in home wins...is now 40-13 with a 3.01 ERA (189 er in 564.2 ip) in 80 career starts at home and his .755 home winning percentage is second best among active pitchers with 25 or more wins to teammate Mark Mulder (34-10, .773)...was 6-0 with an American League leading 1.39 ERA (11 er in 71.0 ip) in 10 starts during the day compared to 1-7 with a 3.25 ERA (61 er in 169.0 ip) in 24 starts at night...now has an 11-game winning streak over his last 15 starts during the day dating back to June 30, 2002 and has a 1.38 ERA (17 er in 110.2 ip) over that stretch...last loss during the day came on May 19, 2002 at Toronto (and that was with the roof closed)...was 9-4 with a 2.69 ERA (29 er in 97.0 ip) in 14 starts after the All-Star break...was second in the A.L. in ERA after the break and tied for third in wins...is now 18-6 with a 2.55 ERA (58 er in 204.2 ip) in 29 post All-Star Break starts over the last two years and has a 43-15 (.742) career record after the break...allowed a .300 (61 for 203) opponents batting average to the number two and three hitters in the line-up and .200 (136 for 680) against the rest of the order...tossed seven or more innings in 24 of his 34 starts this year and 91 of his 156 (58.3%) career starts...is 64-9 with a 1.77 ERA (137 er in 697.2 ip) when tossing seven or more innings...allowed two runs or fewer 20 times this year, walked two batters or fewer 25 times and did not allow a home run 22 times...went 5-3 with a 3.28 ERA over his first 16 starts through June 21, 9-1 with a 1.38 ERA (98.0 ip, 58 h, 19 r, 15 er, 20 bb, 74 so, 4 hr) and .173 opponents batting average over a 13-start stretch from June 26 to August 29 and 2-3 with a 4.85 ERA over his final five starts...made his second career opening day start on April 1 and tossed eight shutout innings in the A's 5-0 win over Seattle...becomes the eighth pitcher in Oakland history to make more than one opening day start (Stewart 6, Langford 5, Hunter 3, Odom 2, Blue 2, Torrez 2, Codiroli 2)...walked a career high tying six batters on April 6 against Anaheim...took the loss on April 11 at Anaheim, snapping his winning streak at a career high tying nine games dating back to August 3 of last year...joins Barry Zito as the only two pitchers in Oakland history with two winning streaks of nine or more games (Zito has three)...allowed a career high tying nine runs on May 30 at Kansas City...had a 47-game (80 chances) errorless streak snapped on June 4 at Florida...was 1 for 3 with a RBI single in that game, the first RBI by an A's pitcher since June 6, 1999 (Kenny Rogers at San Francisco)...is a .130 (3 for 23) career hitter...had his nine-game Coliseum winning streak snapped on June 21 against San Francisco in a 6-4 loss...tossed his fifth career shutout and 11th career complete game on July 11 against Baltimore, a three-hitter in a 2-0 A's win...had a career best 20.0 inning scoreless streak from July 17 to 27...had a season high seven-game winning streak over an eight start stretch from July 22 to August 29 (9 er in 60.1 ip, 1.34 ERA)...went 3-1 with a 1.35 ERA and .175 opponents batting average in six starts in July...topped the majors in ERA in July and ranked second in opponents batting average (Clement, Cubs .146)...then went 5-0 with a 1.62 ERA and .178 opponents batting average in six starts in August...it marked the third time he has won five games in a month (also August, 2002 and September, 2000)...led the A.L. in opponents batting average in August, tied for the lead in wins and ranked second in ERA (Santana, MIN 1.07)...now has an 18-4 career record in August and has an 11-game winning streak in the month...had one of the best outings of his career on August 11 in Oakland when he needed just 93 pitches to toss a two-hit, 2-0 complete game shutout against Boston and Pedro Martinez...those were his fewest pitches ever in a complete game...tossed just 3.0 innings on September 3 at Baltimore, his shortest outing since September 19, 2001 when he also tossed 3.0 innings at Texas...took the loss on September 3 at Baltimore and September 8 against Anaheim, his first losing streak since July 17 to 24, 2001...won both of his starts against Toronto in 2003 and is now 8-1 with a 2.34 ERA (20 er in 77.0 ip) in 11 career starts against the Blue Jays...is 6-1 with a 2.02 ERA (16 er in 71.1 ip) in 10 career starts against Minnesota, his best ERA against any A.L. team. Compiled a career best 2.98 ERA which ranked sixth in the American League...however, was just 15-9 with 10 no decisions in his 34 starting assignments...left with the lead in eight of his no decisions but the bullpen blew the save each time...in his other two no decisions, the A's scored just two runs while he was pitching...in his nine losses, the A's scored just 13 runs in his 60.0 innings pitched, an average of 1.95 runs per nine innings...the A's were 7-3 in his no decisions for a 22-12 record in his starting assignments...A's are now 82-40 (.672) in his 122 career starting assignments...has a 64-26 career record and his .711 winning percentage ranks third best in major league history since 1900 among pitchers with 50 or more decisions...trails teammate Barry Zito (47-17, .734) and Spud Chandler (109-43, .717)...has 53 wins over the last three seasons which is the most in the A.L. and fourth most in the majors (Johnson 64, Schilling 56, Glavine 55)...in addition to ERA, he established career bests in complete games (4), innings pitched (238.1), hit batters (8) and most hits allowed (237) and tied his bests in shutouts (2), losses (9) and fewest walks allowed (62)...in addition to ranking sixth in the A.L. ERA he was also tied for second in games started (34) and shutouts (2), third in innings (238.1) and hits allowed (237), tied for fourth in complete games (4), fifth in home runs per nine innings (0.72), seventh in opponents average with runners in scoring position (.230) and ninth in strikeouts (152)...led the A's in innings pitched for the third consecutive season...the 152 strikeouts brought his career total to 634 which ranks 10th on the Oakland career list...the 237 hits allowed were the most by an A's pitcher since Dave Stewart allowed 245 in 1991...opponents grounded into 35 double plays which was the most in the majors and the most by an A's pitcher since Vida Blue also had 35 in 1974...began the season by going 3-6 with a 4.60 ERA (38 er in 74.1 ip) in his 11 starting assignments through May 24...then went 12-3 with a 2.25 ERA (41 er in 164.0 ip) over his final 23 starts...including 9-2 with a 2.42 ERA (29 er in 107.2 ip) in 15 starts after the All-Star Break...had the third lowest ERA in the A.L. after the break and the wins tied for sixth...is now 34-11 (.756) in his career following the break...finished the regular season with an eight-game winning streak, his fourth career winning streak of eight or more games (career high is nine)...posted a 1.75 ERA (16 er in 82.1 ip) during the winning streak which lasted 11 starts beginning on August 3...it tied for the fourth longest winning streak in the A.L. in 2002...for the season, allowed a .263 opponents batting average which was the highest of his career...opponents hit .317 (110 for 347) with no outs, .245 (73 for 298) with one out and .210 (54 for 257) with two outs...was 6-2 with a 2.10 ERA (16 er in 68.2 ip) and .194 (47 for 242) opponents batting average in nine starts during the day and 9-7 with a 3.34 ERA (63 er in 169.2 ip) and .288 (190 for 660) opponents batting average in 25 starts at night...finished second in the A.L. in day ERA which was a reversal from last year when he had the best night ERA in the A.L. (2.58)...posted a 1.76 ERA (20 er in 102.0 ip) over the first three innings of his starting assignments and 3.89 (59 er in 136.1 ip) from the fourth inning on...did not commit an error in 53 total chances, the most by an A.L. pitcher without an error and the second most chances in Oakland history by a pitcher without an error (Rick Langford, 62 in 1979)...tossed seven or more innings in 22 of his 34 starts this year and 67 of his 122 career starts (54.9%)...never tossed fewer than 5.1 innings in 2002, allowed two runs or fewer in 20 of his starts, did not walk a batter seven times and walked one 11 times...went 3-2 despite a 1.87 ERA in six April starts...picked up his 50th career win in the A's 6-5 victory at Seattle on April 7...it came in his 90th career start making him the third fast Athletic to reach 50 wins (Rube Waddell, 79; Eddie Plank, 89)...tossed his seventh career complete game on April 23 against New York, but the A's lost 2-1, the second time the A's have lost when he went the distance...the Yankees are the only A.L. team he has not defeated during the regular season...went 0-4 with a 7.30 ERA in six starts in May...that was the second highest one month ERA of his career (7.76 in August, 2000)...the four-game losing streak from May 4 to 19 marked the only time in his career he has had a losing streak longer than two games...allowed a career high tying nine runs on May 4 at Chicago...took the loss on May 19 at Toronto, marking the only time in his career he has lost in a domed stadium with the roof closed...is 11-1 with a 2.27 ERA (27 er in 107.0) and five home runs allowed in 15 such starts in his career...matched his career high by allowing 12 hits on June 4 against Seattle...went 3-0 with a 1.16 ERA in his four interleague starts and is now 8-1 with a 2.31 ERA (27 er in 105.0 ip) in 15 career interleague starts...tossed his first shutout since September 9, 2000 (56 starts) on June 30 against San Francisco, a five-hitter in the A's 7-0 win...was 5-0 with a 1.80 ERA in six August starts...tied for the A.L. lead in wins in August and ranked third in ERA...the wins equaled his most ever in a month (September, 2000)...then went 3-0 with a 1.69 ERA in five starts in September, equaling the lowest one month ERA of his career (September, 2000)...is now 15-3 with a 2.29 ERA (39 er in 153.1 ip) in his career from September 1 until the end of the regular season...tossed his second shutout of the season on September 14, a four-hitter in the A's 1-0 win over Seattle...also defeated Anaheim earlier in the week on September 9 and earned A.L. Co-Player of the Week honors for the week ending September 15...went 3-2 in five starts against Anaheim and is now 11-3 in his career against the Angels, his most wins against any team...won his only starts against Baltimore and Minnesota...is now 6-0 with a 2.06 ERA in six career starts against the Orioles and 5-0 with a 1.76 ERA in eight career regular season starts against Minnesota...his ERA against the Twins is his lowest against any A.L. team...made two post season starts in the ALDS against Minnesota and was 0-1 with a 6.23 ERA...had a no decision in the A's 7-5 loss in Game 1 and was the losing pitcher in the A's 11-2 loss in Game 4, allowing seven runs, two earned, in 3.1 innings. 1997-assigned to Southern Oregon after signing with the A's and went 3-1 with a 2.51 ERA in eight games, four starts...struck out 37 in 28.2 innings and did not allow a home run...held the opposition to a .128 (12 for 94) batting average. 1998-began the year at Single-A Modesto but quickly earned a promotion to Double-A Huntsville...went 4-0 with a 1.67 ERA in eight games, five starts, at Modesto and was moved up to Huntsville on May 8...made 22 appearances, all starts, with the Stars and was 10-9 with a 4.54 ERA and two complete games...led the team in strikeouts (104) and complete games and finished second in wins, starts and innings pitched (134.2)...combined for a 14-9 record and a 3.92 ERA in 30 games, 27 starts...his win total tied for the most in the A's farm system and he also ranked second in strikeouts (152) and 10th in ERA...allowed a .245 (155 for 632) opponents batting average...earned California League Pitcher of the Week honors, April 13-19, tossing 10 scoreless innings with 16 strikeouts in two outings...made one post-season relief appearance with Huntsville (0.1 ip, 1 h, 1 r, 1 er, 2 bb). 1999-was named American League Rookie Pitcher of the Year by The Sporting News and finished fifth in the BBWAA Rookie of the Year balloting...selected from Triple-A Vancouver on June 7 and went 11-2 with a 3.23 ERA and a team leading 132 strikeouts in 21 starts with the A's...was second on the club in wins...his .846 won-loss percentage was the best ever by an Oakland rookie...led all American League rookies in ERA (minimum 100 innings) and won-loss percentage (minimum 10 decisions), ranked second in strikeouts and tied for second in wins...the Mariners Freddy Garcia had 17 wins and 170 strikeouts in 33 starts...averaged 8.71 strikeouts per nine innings which was second best ever by an Oakland starter (Todd Stottlemyre, 8.80 in 1995)...became Oakland's first 10 game winner that was drafted by the A's since Curt Young (4th round, 1981) went 11-8 in 1988...made his major league debut on June 8 at San Diego and had a no decision in the A's 5-3 loss...struck out an A's season high 11 batters in just 5.0 innings, setting an Oakland record for strikeouts in a major league debut...fell one short of the franchise record and American League record of 12 set by Elmer Myers of the Philadelphia A's on October 6, 1915...the 11 strikeouts tied the Oakland rookie record set by Rick Langford on August 13, 1977 at Baltimore and matched by Willie Adams on July 26, 1996 at Toronto...also walked and singled in his first two plate appearances...recorded his first major league win in his second start, a 9-3 victory over Los Angeles on June 13 (7.0 ip, 7 h, 2 r, 1 er, 2 bb, 8 so)...suffered his first professional loss of 1999 on June 24 at Texas but would not lose again until September 17...tossed seven shutout innings against Seattle on June 30 to start an eight-game winning streak that ran through September 10...posted a 2.92 ERA (95.2 ip, 76 h, 33 r, 31 er, 41 bb, 91 so) and allowed a .217 (76 for 350) opponents batting average during that 14 start stretch...defeated Randy Johnson in Arizona on July 10 and would later defeat Pedro Martinez in Boston on August 19...joined the Montreal Expos Mike Thurman (1999) as the only two pitchers in major league history to defeat both Cy Young award winners in the season in which they won the award...tossed his first career complete game on September 4, a four-hitter in the A's 2-1 win over Detroit...did not make his last start because of stiffness in his back...held the opposition to a .237 batting average, including .234 against left handers which ranked fifth lowest among American League pitchers...allowed a .222 average with runners on base which was sixth lowest...also allowed a .181 average with runners in scoring position...began the season at Double-A Midland and was promoted to Triple-A Vancouver on April 24...was a combined 18-2 with a 2.74 ERA (62 er in 203.1 ip) in 32 professional starts at Midland, Vancouver and Oakland...struck out 211 for an average of 9.3 per nine innings. 2000-became the seventh 20-game winner in Oakland history (15th time) by winning the A's final game of the season, the American League Western Division clinching 3-0 win over Texas on October 1...tied Toronto's David Wells for the American League lead with 20 wins and was one of four 20-game winners in the majors...was named to his first American League All-Star team and finished second in the American League Cy Young balloting to Pedro Martinez...became the first Oakland pitcher to win 20 games since Bob Welch (27-6) and Dave Stewart (22-11) in 1990...was the first Oakland 20-game winner that was drafted by the A's since Mike Norris went 22-9 in 1980...finished the season 20-6 and led the majors with a .769 winning percentage...had a 21-4 career record after his first 25 decisions...according to the Elias Sports Bureau, he was the fifth starting pitcher in major league history to post a 21-4 record over his first 25 decisions, joining King Cole (1909-10), Whitey Ford (1950, 53), Vida Blue (1969-71) and Juan Guzman (1991-92)...ranked second in the American League with a .227 opponents batting average, tied for second with two shutouts, eighth with 169 strikeouts and 7.5 strikeouts per nine innings and ninth with a 4.14 ERA...had the second best run support in the American League as the A's averaged 7.34 runs per nine innings for him...went 12-1 with a 3.63 ERA and .195 (81 for 416) opponents batting average in 17 starts in Oakland...led American League pitchers in home victories and was seventh in home ERA...had a career best nine-game winning streak from April 25 to July 2 (3.40 ERA) which tied for the longest in the majors in 2000...finished the season with a seven-game winning streak although he lost his only Division Series start against the Yankees, tossing a complete game six hitter in the A's 4-2 loss in Game 3 at Yankee Stadium...was the winning pitcher in the A's first win of the season, a 3-1 victory over Detroit on April 4th...took a no-hitter into the seventh inning before Clark doubled with one out...lasted just 1.2 innings in his third start on April 15 at Boston, the shortest outing of his career, and was the losing pitcher in the A's 14-2 loss...lost his second straight on April 20 at Cleveland for the first losing streak of his career...lasted just 2.1 innings as he was removed after being hit in the chest by a Roberto Alomar line drive in the third inning...suffered a right chest contusion but did not miss a turn...struck out a season high 10 on April 30 at Minnesota, one of two 10-strikeouts games in 2000 (also October 1 against Texas)...became the first A's pitcher to have 10 wins by the All-Star Break since 1992 when Mike Moore was 10-7...made his first All-Star Game appearance on July 11 and retired the side in order in the eighth inning...got Jose Vidro to pop to short, struck out Edgardo Alfonzo and induced Todd Helton to ground out to second...had his nine-game winning streak snapped on July 21 in the A's 12-3 loss to Anaheim when he yielded a career high tying nine runs on a career high 12 hits...began his season ending seven game winning streak by tossing his first career shutout, a one-hitter in the A's 3-0 win over Chicago on August 28...walked just one, one of 16 times in 2000 he walked two or fewer...posted a 1.16 ERA during the seven-game winning streak...finished August with a 7.76 ERA, his highest ERA in a month for his career...tossed his second shutout in three starts, a two-hitter in the A's 10-0 win over Tampa Bay on September 9...ended up going 5-0 with a 1.69 ERA in five September starts and was named American League Pitcher of the Month...allowed one run or fewer in 11 of his starts...tossed seven or more innings 16 times...opponents batting average broke down to .231 against left handers and .221 against right handers. 2001-followed up his 20 win season of 2000 with 18 wins in 2001 and tied for fourth in the American League in wins...made 35 starts which tied teammate Barry Zito for the A.L. lead...struck out 181 which ranked sixth in the AL...also ranked second in the A.L. in innings (235.0), fifth in ERA (3.37) and tied for ninth in complete games (3)...the starts and strikeouts were career highs and his nine losses were one more than his career total entering the season...led the A's in innings pitched for the second consecutive season...allowed a .245 opponents batting average which broke down to .256 against left handers and .232 against right-handers...his mark against right-handers was sixth lowest in the AL...ranked fourth in the A.L. in opponents slugging (.350) and ninth in opponents on-base percentage (.303)...was third in opponents on-base percentage leading off an inning (.267)...went 15-3 with a 2.58 ERA and eight home runs allowed in 22 starts at night and 3-6 with a 4.76 ERA and 12 home runs allowed in 13 starts during the day...his night ERA was the best in the AL...won 11 games on the road which ranked second in the A.L. (Sabathia 13)...went 4-0 with a 2.31 ERA and no home runs in five starts in domes...allowed just 20 home runs for an average of 0.77 home runs per nine innings which was eighth in the AL...got off to a slow start as he went 2-3 with a 6.35 ERA in six April starts...followed up April with a five-game winning streak from May 9 to June 12 (1.97 ERA) and, after losing consecutive starts on June 17 and 22, he put together another five-game winning streak from June 27 to July 23 (2.11 ERA)...went 12-3 with a 2.18 ERA over a 19 start stretch from May 3 to August 8...then went 4-3 with a 4.45 ERA over his final 10 regular season starts...made two appearances against New York in the ALDS, including his first major league relief appearance, and was 1-0 with a 0.93 ERA...combined with Isringhausen on a seven-hit shutout in the A's 2-0 win at New York in Game 2 (8.0 ip, 6 h, 1 bb, 3 so)...then relieved Mulder in the fifth inning of Game 5 in New York with the A's trailing 4-3 and allowed a solo home run to Justice in 1.2 innings (2 h, 1 r, 1 er, 2 so)...tossed seven or more innings in 18 of his 35 regular season starts, allowed five hits or fewer 17 times, allowed two runs or fewer 22 times and walked one batter or fewer 18 times...the A's went 6-2 in his no decisions and were 24-11 in his starting assignments...made his first Opening Day start, becoming the ninth different pitcher in the last nine years to start an opener for the A's...extended his regular season winning streak to eight games dating back to 2000 on April 7 against Anaheim...struck out a career high tying 11 against the Angels, a feat he later matched on June 22 against Texas...allowed a two-out home run to Troy Glaus in the fourth inning of his start against the Angels, his first home run allowed since August 23, 2000 (Jim Thome), a streak of 65.2 innings and 259 batters...allowed a career high tying 12 hits in a loss on April 28 at New York...tossed a complete game eight hitter in the A's 5-1 win at Arizona on July 7...extended his scoreless streak to 17.2 innings before Bell had a two-out RBI double in the bottom of the ninth...walked Kreuter in the sixth inning on July 13 against Los Angeles, snapping a string of 22.2 innings and 80 batters without a walk. Followed up his 20 win season of 2000 with 18 wins in 2001, giving him three consecutive 10-win seasons...became the 12th pitcher in Oakland history with at least three straight 10-win seasons, the first since 1990-92 when Mike Moore, Bob Welch and Dave Stewart all accomplished the feat...his 38 wins in consecutive seasons are the most since Welch won 39 from 1990-91...tied for fourth in the American League in wins...went 18-9 and now has a career record of 49-17 for a .742 winning percentage, which is the best in major league history since 1900 among pitchers with 50 or more decisions...made 35 starts which tied teammate Barry Zito for the A.L. lead...those were the most starts by an A's pitcher since Mike Moore made 36 starts in 1992...struck out 181 which ranked sixth in the A.L. and also tied for the eighth best single season total in Oakland history...also ranked second in the A.L. in innings (235.0), fifth in ERA (3.37) and tied for ninth in complete games (3)...the starts, complete games, innings pitched and strikeouts were all career highs and his nine losses were one more than his career total entering the season...led the A's in innings pitched for the second consecutive season...allowed a .245 opponents batting average which broke down to .256 (118 for 461) against left handers and .232 (98 for 422) against right-handers...his mark against right-handers was sixth lowest in the A.L....ranked fourth in the A.L. in opponents slugging (.350) and ninth in opponents on-base percentage (.303)...was third in opponents on-base percentage leading off an inning (.267)...went 15-3 with a 2.58 ERA (43 er in 150.0 ip) and eight home runs allowed in 22 starts at night and 3-6 with a 4.76 ERA (45 er in 85.0 ip) and 12 home runs allowed in 13 starts during the day...his night ERA was the best in the A.L....won 11 games on the road which ranked second in the A.L. (Sabathia 13)...went 4-0 with a 2.31 ERA (9 er in 35.0 ip) and no home runs in five starts in domes and is now 11-0 with a 2.01 ERA (21 er in 94.0 ip) and one home run allowed in 13 career starts in domed stadiums with the roof closed...allowed just 20 home runs for an average of 0.77 home runs per nine innings which was eighth in the AL...eight of the home runs came in his first seven starts (43.0 ip) as he allowed just 12 home runs over his last 28 starts (192.0 ip)...got off to a slow start as he went 2-3 with a 6.35 ERA in six April starts...is now 5-5 with a 5.85 ERA (42 er in 64.2 ip) in 12 career April starts and 44-12 with a 3.32 ERA (188 er in 509.0 ip) in 76 starts over the rest of the season...followed up his April with a five-game winning streak from May 9 to June 12 (1.97 ERA) and, after losing consecutive starts on June 17 and 22, he put together another five-game winning streak from June 27 to July 23 (2.11 ERA)...went 12-3 with a 2.18 ERA (34 er in 140.1 ip) over a 19 start stretch from May 3 to August 8...then went 4-3 with a 4.45 ERA (30 er in 60.2 ip) over his final 10 regular season starts...made two appearances against New York in the ALDS, including his first major league relief appearance, and was 1-0 with a 0.93 ERA...combined with Isringhausen on a seven-hit shutout in the A's 2-0 win at New York in Game 2 (8.0 ip, 6 h, 1 bb, 3 so)...then relieved Mulder in the fifth inning of Game 5 in New York with the A's trailing 4-3 and allowed a solo home run to Justice in 1.2 innings (2 h, 1 r, 1 er, 2 so)...tossed seven or more innings in 18 of his 35 regular season starts, allowed five hits or fewer 17 times, allowed two runs or fewer 22 times and walked one batter or fewer 18 times...the A's went 6-2 in his no decisions and were 24-11 in his starting assignments...made his first Opening Day start, becoming the ninth different pitcher in the last nine years to start an opener for the A's...extended his regular season winning streak to eight games dating back to 2000 on April 7 against Anaheim, equaling the second longest winning streak of his career...struck out a career high tying 11 against the Angels, a feat he later matched on June 22 against Texas...has six career 10-strikeout games...allowed a two-out home run to Troy Glaus in the fourth inning of his start against the Angels, his first home run allowed since August 23, 2000 (Jim Thome), a streak of 65.2 innings and 259 batters...allowed a career high tying 12 hits (also August 24, 2001 vs. Detroit and July 21, 2000 vs. Anaheim) in a loss on April 28 at New York...lost consecutive starts on June 17 at San Francisco and June 22 against Texas, marking the fourth time in his career he has had a two-game losing streak...has never lost three straight...tossed his first complete game of the year in his start against the Rangers but lost 2-1...tossed a complete game eight hitter in the A's 5-1 win at Arizona on July 7...extended his scoreless streak to 17.2 innings before Bell had a two-out RBI double in the bottom of the ninth...walked Kreuter in the sixth inning on July 13 against Los Angeles, snapping a string of 22.2 innings and 80 batters without a walk...complete game number three came on August 3 at Detroit, a nine-hitter in a 2-1 A's win...picked up the win in his final start of the season on October 5 at Anaheim and went 5-0 with a 1.67 ERA in six starts against the Angels...Baltimore was the only other team he defeated more than once (2)...is now 8-1 with a 3.16 ERA in 10 career starts against the Angels, his most wins against any club...is undefeated against four A.L. teams (5-0 against Baltimore and Toronto, 4-0 against Minnesota and Tampa Bay)...Cleveland and New York are the only A.L. teams he has never defeated during the regular season. Became the seventh 20-game winner in Oakland history by winning the A's final game of the season, the American League Western Division clinching 3-0 win over Texas on October 1 ... tied Toronto's David Wells for the American League lead with 20 wins and was one of four 20-game winners in the majors ... is the seventh Oakland pitcher to win 20 games, the first since Bob Welch (27-6) and Dave Stewart (22-11) in 1990 ... is the first Oakland 20-game winner that was drafted by the A's since Mike Norris went 22-9 in 1980 ... finished the season 20-6 and led the majors with a .769 winning percentage, the third best mark in Oakland history ... now has a 31-8 career record and his .795 winning percentage is the best in Oakland history ... had a 21-4 career record after his first 25 decisions ... according to the Elias Sports Bureau, he was the fifth starting pitcher in major league history to post a 21-4 record over his first 25 decisions, joining King Cole (1909-10), Whitey Ford (1950, 53), Vida Blue (1969-71) and Juan Guzman (1991-92) ... has a 13-4 career record in his starting assignments following an A's loss including 8-2 this year ... ... ranked second in the American League with a .227 opponents batting average, tied for second with two shutouts, eighth with 169 strikeouts and 7 .5 strikeouts per nine innings and ninth with a 4.14 ERA ... had the second best run support in the American League as the A's average 7.34 runs per nine innings for him (165 r in 202 .1 ip) ... went 12-1 with a 3.63 ERA (47 ER in 116.2 IP) and .195 (81 for 416) opponents batting average in 17 starts in Oakland ... led American League pitchers in home victories and was seventh in home ERA ... is the first A's pitcher with more than one shutout since Bobby Witt had three in 1994 ... had a career best nine-game winning streak from April 25 to July 2 which tied for the longest in the majors in 2000 ... had an eight-game winning streak last year and finished the 2000 season with a seven-game winning streak ... joins Gil Heredia as the first A's pitchers to post consecutive 10-win seasons since Mike Moore, Bob Welch and Dave Stewart in 1991-92 ... his 169 strikeouts were the most by an A's pitcher since Todd Stottlemyre had 205 in 1995 ... he was the winning pitcher in the A's first win of the season, a 3-1 victory over Detroit on April 4th ... took a no-hitter into the seventh inning before Clark doubled with one out ... lasted just 1 .2 innings in his third start on April 15 at Boston, the shortest outing of his career, and was the losing pitcher in the A's 14-2 loss ... lost his second straight on April 20 at Cleveland for the first losing streak of his career ... lasted just 2.1 innings as he was removed after being hit in the chest by a Roberto Alomar line drive in the third inning ... suffered a right chest contusion but did not miss a turn ... began his nine-game winning streak (93.2 IP, 72 H, 40 R, 37 ER, 40 BB, 85 SO, 3.56 ERA) in the A's 11-2 win over Toronto on April 25 in Oakland ... struck out a season high 10 on April 30 at Minnesota, one of two 10-strikeouts games in 2000 ... also struck out 10 on October 1 against Texas, his fourth career 10 strikeout game ... had a 15.1 inning scoreless streak from May 16 to June 3 ... went 3-0 with a 4.05 ERA in five June starts ... won his 10th game on July 2 at Anaheim, the earliest date an A's pitcher has won his 10th game since Bob Welch won his 10th on June 15, 1990 ... he is the first A's pitcher to have 10 wins by the All-Star Break since 1992 when Mike Moore was 10-7 ... made his first All-Star Game appearance on July 11 and retired the side in order in the eighth inning ... got Jose Vidro to pop to short, struck out Edgardo Alfonzo and induced Todd Helton to ground out to second ... had his first start after the All-Star Break erased because of a rain out with the A's leading 4-3 at Colorado entering the bottom of the fourth on July 16 (3.0 IP, 6 H, 3 R, 3 ER, 2 SO) ... had his nine-game winning streak snapped on July 21 in the A's 12-3 loss to Anaheim ... yielded a career high tying nine runs on a career high 12 hits ... began his season ending seven game winning streak by tossing his first career shutout, a one-hitter in the A's 3-0 win over Chicago on August 28 ... it was the first one-hitter by an A's pitcher since Steve Ontiveros one-hit New York on May 27, 1995 ... it was the 15th complete game one-hitter in Oakland history, not including four complete game no-hitters ... walked just one, one of 16 times in 2000 he walked two or fewer ... retired each of the final 16 hitters he faced ... posted a 1 .16 ERA during the seven-game winning streak (54 .1 IP, 31 H, 9 R, 7 ER, 11 BB, 44 SO, 0 HR) ... finished August 2-3 with a 7.76 ERA in five starts, his highest ERA in a month for his career, topping his mark of 5 .35 in August of 1999 ... tossed his second shutout in three starts, a two-hitter in the A's 10-0 win over Tampa Bay on September 9 ... ended up going 5-0 with a 1.69 ERA (37.1 IP, 26 H, 9 R, 7 ER, 8 BB, 26 SO) in five September starts ... was one of three A's pitchers to win five games in a month this year (Heredia, 5-1 in May and Zito, 5-1 in September) ... tossed eight shutout innings in his final start of the season on October 1 against Texas as the A's won 3-0 to clinch the Western Division Championship ... allowed one run or fewer in 11 of his starts in 2000 ... tossed seven or more innings 16 times ... opponents batting average broke down to .231 (97 for 420) against left handers and .221 (72 for 326) against right handers. Began the season at Double-A Midland but finished it with Oakland in contention for American League Rookie of the Year honors ... Was named American League Rookie Pitcher of the Year by The Sporting News and finished fifth in the BBWAA Rookie of the Year balloting ... Selected from Triple-A Vancouver on June 7 and went 11-2 with a 3.23 ERA and a team leading 132 strikeouts in 21 starts with the A's ... Was second on the club in wins ... His .846 won-loss percentage was the best ever by an Oakland rookie and his ERA was fourth lowest ... Fell one short of Chris Codiroli's rookie win record set in 1983 and nine strikeouts shy of Rick Langford's rookie mark of 141 in 1977 ... Led all American League rookies in ERA (minimum 100 innings) and won-loss percentage (minimum 10 decisions), ranked second in strikeouts and tied for second in wins ... The Mariners Freddy Garcia had 17 wins and 170 strikeouts in 33 starts ... Averaged 8.71 strikeouts per nine innings which was second best ever by an Oakland starter (Todd Stottlemyre, 8.80 in 1995) ... Became Oakland's first 10 game winner that was drafted by the A's since Curt Young (4th round, 1981) went 11-8 in 1988 ... Made his major league debut on June 8 at San Diego and had a no decision in the A's 5-3 loss ... Struck out an A's season high 11 batters in just 5.0 innings, setting an Oakland record for strikeouts in a major league debut ... Fell one short of the franchise record and American League record of 12 set by Elmer Myers of the Philadelphia A's on October 6, 1915 ... The 11 strikeouts tied the Oakland rookie record set by Rick Langford on August 13, 1977 at Baltimore and matched by Willie Adams on July 26, 1996 at Toronto ... Also walked and singled in his first two plate appearances ... Recorded his first major league win in his second start, a 9-3 victory over Los Angeles on June 13 (7.0 ip, 7 h, 2 r, 1 er, 2 bb, 8 so) ... Suffered his first professional loss of 1999 on June 24 at Texas but would not lose again until September 17 ... Tossed seven shutout innings against Seattle on June 30 to start an eight-game winning streak that ran through September 10 ... That tied for the seventh longest one-season winning streak in Oakland history ... Posted a 2.92 ERA (95.2 ip, 76 h, 33 r, 31 er, 41 bb, 91 so) and allowed a .217 (76 for 350) opponents batting average during that 14 start stretch ... Defeated Randy Johnson in Arizona on July 10 and came within two outs of his first complete game and shutout in the A's 2-0 victory ... Would later defeat Pedro Martinez in Boston, allowing just two runs in eight innings in a 6-2 A's win on August 19 ... He joins the Montreal Expos Mike Thurman (1999) as the only two pitchers in major league history to defeat both Cy Young award winners in the season in which they won the award ... Had a scoreless streak of 16.1 innings from July 5 to 17 ... Had a streak of 52.1 consecutive innings without a home run snapped on July 22 at Seattle by Alex Rodriguez ... Tossed his first career complete game on September 4, a four-hitter in the A's 2-1 win over Detroit ... It was the low-hit complete game by an A's pitcher in 1999 ... Won his 10th game on September 10 at Tampa Bay, tossing 7.2 shutout innings and matching his career high with 11 strikeouts ... Also did not walk a batter for the first time in his career ... Had his winning streak snapped on September 17 against Kansas City, tossing a career low 4.0 innings ... Won his 11th game on September 28 at Anaheim but did not make his last start because of stiffness in his back ... Tossed at least seven innings 11 times, allowed two runs or fewer 11 times and struck out seven or more nine times ... Held the opposition to a .237 (121 for 511) batting average, including .234 (62 for 265) against left handers which ranked fifth lowest among American League pitchers ... Allowed a .222 (48 for 216) average with runners on base which was sixth lowest ... Also allowed a .181 (21 for 116) average with runners in scoring position ... Began the season at Double-A Midland and went 3-0 with a 0.50 ERA in three starts ... Was promoted to Triple-A Vancouver on April 24 and was 4-0 with a 2.20 ERA in eight starts with the Canadians ... Was a combined 18-2 with a 2.74 ERA (62 er in 203.1 ip) in 32 professional starts at Midland, Vancouver and Oakland ... Struck out 211 for an average of 9.3 per nine innings. Began the year at Modesto (A) but quickly earned a promotion to Huntsville (AA) on 5/8...LedHuntsville in strikeouts (104) and complete games and finished second in wins, starts and innings pitched(134.2)...Combined for a 14-9 record and a 3.92 ERA in 30 games, 27 starts...His win total tied for the mostin the A's farm system and he also ranked second in strikeouts (152) and 10th in ERA...Earned CaliforniaLeague Pitcher of the Week honors, 4/13-19, tossing 10 scoreless innings with 16 strikeouts in two outings. Assigned to Southern Oregon after signing with the A's and went 3-1 with a 2.51 ERA in eight games,four starts...Struck out 37 in 28.2 innings and did not allow a home run...Held opponents to a .128 average. November 2, 2015 RHP Tim Hudson elected free agency. September 1, 2015 San Francisco Giants activated RHP Tim Hudson from the 15-day disabled list. August 14, 2015 San Francisco Giants sent RHP Tim Hudson on a rehab assignment to San Jose Giants. July 20, 2015 San Francisco Giants activated RHP Tim Hudson from the 15-day disabled list. October 3, 2014 San Francisco Giants activated RHP Tim Hudson. October 1, 2014 San Francisco Giants reassigned RHP Tim Hudson to the minor leagues. 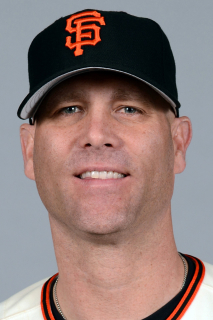 November 18, 2013 San Francisco Giants signed free agent RHP Tim Hudson. October 31, 2013 Atlanta Braves activated RHP Tim Hudson from the 60-day disabled list. September 2, 2013 Atlanta Braves transferred RHP Tim Hudson from the 15-day disabled list to the 60-day disabled list. Fractured right ankle. July 25, 2013 Atlanta Braves placed RHP Tim Hudson on the 15-day disabled list. Fractured right ankle. April 29, 2012 Atlanta Braves activated RHP Tim Hudson from the 15-day disabled list. April 18, 2012 Rome Braves sent RHP Tim Hudson on a rehab assignment to Gwinnett Braves. April 7, 2012 Tim Hudson assigned to Rome Braves. September 1, 2009 Atlanta Braves activated RHP Tim Hudson from the 60-day disabled list. July 27, 2009 sent RHP Tim Hudson on a rehab assignment to Gwinnett Braves. July 19, 2009 sent RHP Tim Hudson on a rehab assignment to Myrtle Beach Pelicans.